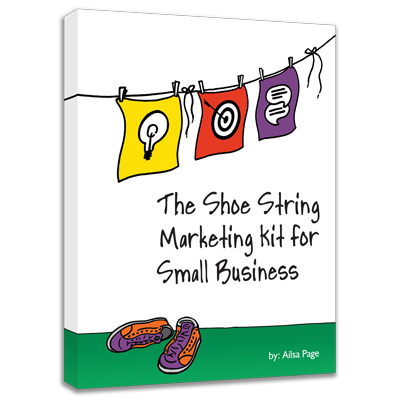 The Shoe String Marketing Kit for Small Business provides businesses with an easy to understand book of marketing ideas on a shoestring. With over 100 pages of easy to understand marketing ideas, tips and worksheets you get a greater understanding of the science of marketing and learn how to adjust your marketing to suit your budget and goals. This functional and funky spiral bound book is designed to sit on your desk, in your car, at your workshop or anywhere you might need a hint of inspiration. 100% money back guarantee if you don't save the price of the book or make the price of the book we'll give you your money back!